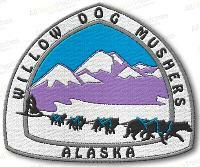 The 2010 Mushing History Conference, presented by Northern Light Media, will be held in Willow, Alaska, on September 25 and 26, in conjunction with the Willow Dog Mushers Association’s third annual Canine Athletes Symposium. The location is the beautiful lakeside Willow Community Center, in the heart of downtown Willow, Alaska. Award-winning Talkeetna artist David Totten contributed artwork for a limited edition poster, which will be available for purchase. Totten, who has designed the official poster for multiple years of the Yukon Quest, and designed the poster for the 2010 Jr. Iditarod, has often used his own team of sled dogs as models for his artwork. The WDMA Symposium will hold center stage in the Willow Community Center on Saturday, September 25, with keynote speaker Mary Shields, the first woman to run and finish the Iditarod Trail Sled Dog Race in 1974. 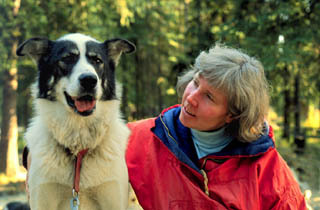 Opening her kennel near Fairbanks to visitors, Mary has been sharing her 41 years of adventures in mushing, and her love of living in Alaska with her family of sled dogs, since 1984. Complementing Ms. Shields’ address will be a panel of veteran women mushers, and attendees will also experience a wealth of canine athlete related activities, including hands-on seminars, workshops, demonstrations and more. There will also be a new and used gear swap, a vendor fair, and a fundraising dinner with a silent auction and a showing of Mary Shield’s PBS documentary, Season of the Sled Dog. The 2010 Mushing History Conference is sponsoring a display of historical mushing items such as freighting sleds, antique harnesses, gear, posters, photos, books and more, and there will be a comfortable place for ongoing informal discussions about the history of sled dog travel in the north. On Sunday, September 26 the Mushing History Conference gets underway in earnest, with a program which includes The All Alaska Sweepstakes, the Serum Run, Dog Mushing in the Northwestern Fur Trade, Iditarod Mail Carriers, the Iditarod Trail Sled Dog Race, the history of women in racing, and more. 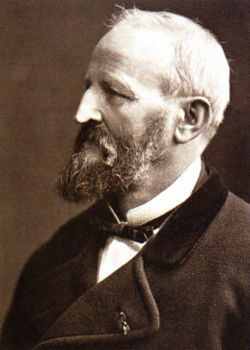 In 1802, at the age of 20, Prince Maximilian Wied joined the Prussian army during the Napoleonic War, and, after rising to the rank of Major-General, retired in 1815. He led an expedition to Brazil from 1815 to 1817, and then apparently rested on his laurels for 15 years. 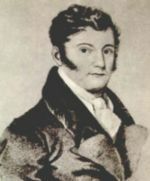 In 1832, accompanied by the young Swiss painter Karl Bodmer, he traveled to America’s Great Plains, up the Missouri River, stayed at Fort Clark during the winter of 1832-1833 (George Catlin was there during the same time frame), and wrote a book, Travels in the Interior of North America 1832 to 1834, on his return. 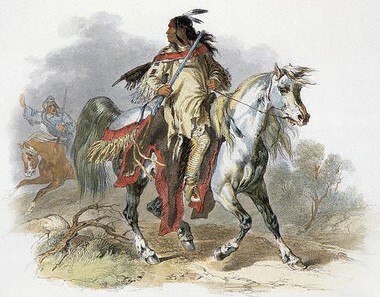 During his travels, the Prince studied the cultures of tribes such as the Mandan and the Hidatsa and collected many specimens of flora and fauna of the area. His reason for the journey, as stated in the preface to his book, was to provide foreigners with a description of the natural scenery of North America and of the cultures of the indigenous inhabitants, a project he thought the United States government had neglected. Karl Bodmer, born in Switzerland and having studied art in Paris, was asked by Prince Max to be the artist for his adventurous expedition across the American West. His duty was to make detailed illustrations of the life, habits and customs of the Northern Great Plains Indians. Bodmer recorded events occurring in the present states of Nebraska, South Dakota, North Dakota, Montana and Wyoming, sketching Indians and their surroundings at every stop. Known for his careful observation and attention to detail, he tried not to romanticize his subjects, but to depict them as they truly were. Today Bodmer’s original watercolors are recognized as among the most painstakingly accurate painted images ever made of Native Americans, their culture and artifacts, and of the scenery of the pristine Old West. 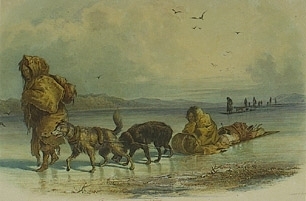 The small watercolor on the logo, the sledge with three dogs, is quite unlike other examples of Bodmer’s work, such as this more easily identified Dog Sledges of the Mandan Indians, an aquatint engraving from Prince Maximilian’s Travels in the Interior of North America, 1839-43. The logo image is an odd little drawing, almost amateurish, but a close look shows pencilled images below the sled, as though this was merely an informal unfinished study of the subject. Perhaps an artistic bit of note-taking. Or maybe it really was Prince Max’s attempt at an illustration? 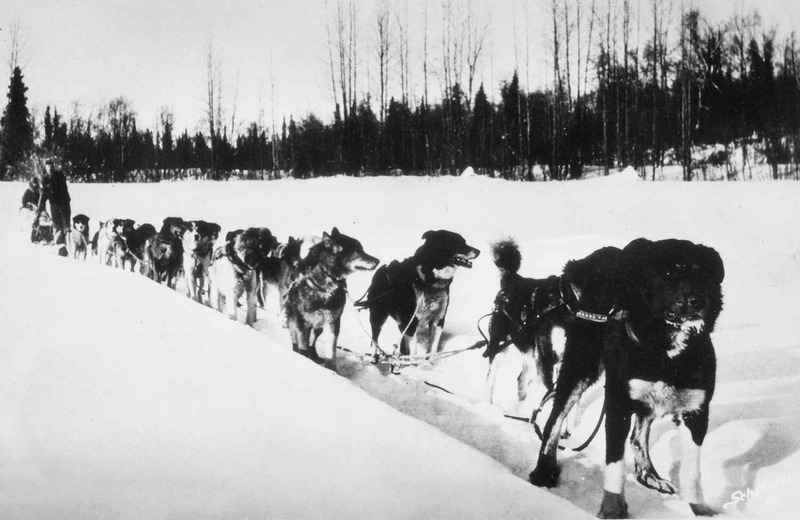 Whatever the case, it’s a compelling image, and nicely portrays mushing history. Worth noting: Bodmers Journey, Friend of the Indians and His Adventurous Voyage is a newly released documentary film about Prince Maximilian and Karl Bodmer’s incredible expedition across America’s early west. 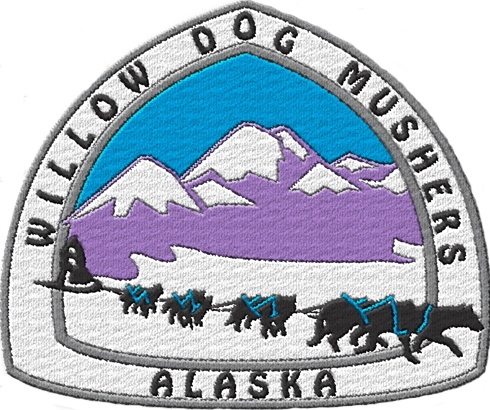 On Saturday, September 25 the 2010 Willow Dog Mushers Association’s Symposium will hold center stage in the Willow Community Center, and a wealth of canine athlete related programs are being planned. The Keynote Speaker will be Mary Shields, the first woman to run the Iditarod Trail Sled Dog Race in 1974, and a panel of some of the first women to run the Iditarod will discuss various aspects of women and mushing. Also included will be a Gear Swap/Vendor Fair, Hands-On Seminars, multiple workshops and a Symposium/Fundraising Dinner with a Silent Auction and a showing of Mary Shield’s PBS video, Season of the Sled Dog. From noon to 5:00 on Saturday the Old Log Cabin Community Center will be transformed into a mushing history museum, and a continuous informal conversation about the history of mushing will take place throughout the day. Everyone is welcome to join in the discussion as we explore the items on display, and share mushing experiences and adventures, tales of the trail, and more. The presentations for this year already include the All Alaska Sweepstakes, the Serum Run, Dog Mushing in the Northwestern Fur Trade, Iditarod Mail Carriers, and the history of women in the Iditarod Trail Sled Dog Race, with more still under discussion. We are excited to have Talkeetna artist David Totten designing a poster for this year’s combined event with the Willow Dog Mushers Association’s Symposium. 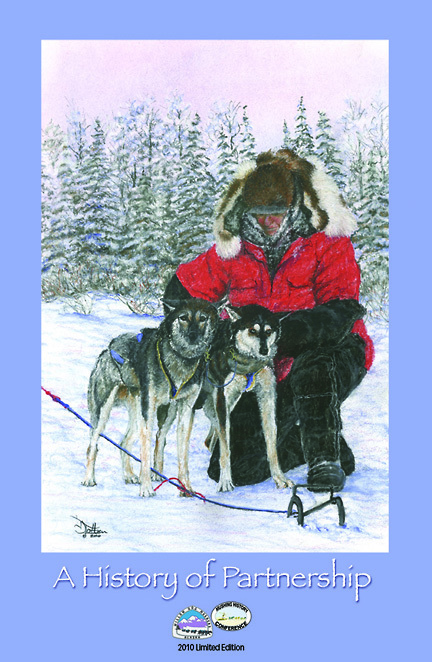 David, who often used his own recreational team of sled dogs as models for his well-known “sled dog art,” has been awarded numerous placements in the prestigious “Art Show at the Dog Show” competitions, and in 1995, 1997 and 1999 was selected to paint the official prints of the Yukon Quest International Sled Dog Race. Information updates about the 2010 Mushing History Conference will be shared via this website and the Mushing History Discussion Group, and at the Mushing History Facebook page. This post is the fifth and last in a series of reports on the 2009 Mushing History Conference, which took place Nov 6-8 in Anchorage and Wasilla, Alaska. Jane Haigh, an Assistant Professor of History at Kenai Peninsula College and an accomplished Alaskan author and historian, has written or co-written a number of books of popular Alaskan history, including Gold Rush Dogs, Children of the Gold Rush, Gold Rush Women, King Con: The Story of Soapy Smith, and The Search for Fannie Quigley: A Wilderness Life in the Shadow of Mount McKinley. 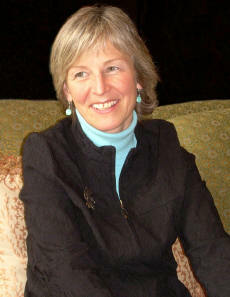 In 2008 Jane was honored by the Alaska Historical Society with their annual “Historian of the Year” recognition. 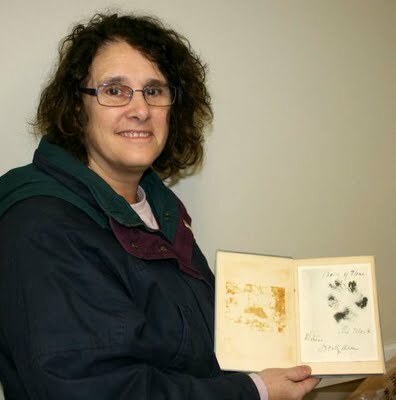 For the 2009 Mushing History Conference Jane gave a presentation on Nome pioneer and Alaskan author Esther Birdsall Darling, the woman who was part owner of Scotty Allan’s kennel, and who helped to found the Nome Kennel Club. 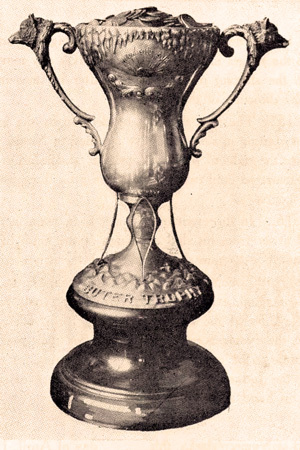 Esther Birdsall Darling was responsible for publicizing the All Alaska Sweepstakes races and writing the race programs, including the booklet and postcards titled The Great Dog Races of Nome Held under the Auspices of the Nome Kennel Club, Nome, Alaska: Official Souvenir History, printed in Nome, Alaska by the Nome Kennel Club, 1916. Esther Birdsall Darling was the author of several books on Nome and the All Alaska Sweepstakes races, including the classic best-selling children’s book, Baldy of Nome, detailing the exploits of Scotty Allan’s famous leader. First published in 1913, the book was kept in print by popular demand through the next four decades, and Baldy’s descendants, including Boris and Navarre, were featured in additional books by Esther Birdsall Darling. Jane Haigh’s slideshow and discussion of the famous Nome author and pioneer brought a wonderful Alaskan personality to light for the conference attendees. Chas St. George, Director of Public Relations for the Iditarod Trail Sled Dog Race, brought a film preview from the newest Iditarod video project, Purely Alaskan, the first in a series of videos highlighting the almost forty years of Iditarod race history. The 90-minute documentary, now available from the Iditarod website, tells the story of the race through archived photos and interviews with more than fifty people, including past champions and other mushers, race veterinarians, Iditarod Air Force pilots, volunteers and others. 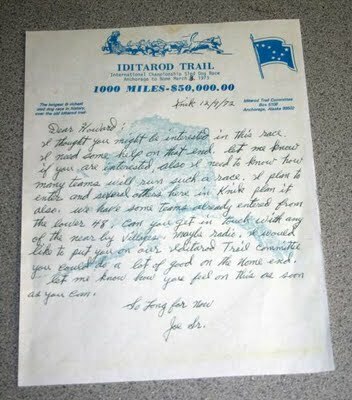 Dec. 1972 letter from Joe Redington, Sr. to Howard Farley in Nome. Photo by June Price. “‘Joe Redington Sr. put it on the line,’ he said. ‘He put his mortgage on the line. Journalists were following him around calling him a Don Quixote,’ he added, but Redington never wavered. ‘It wasn’t about who won,’ said St. George, ‘but about the journey,’ a sentiment shared by everyone there. 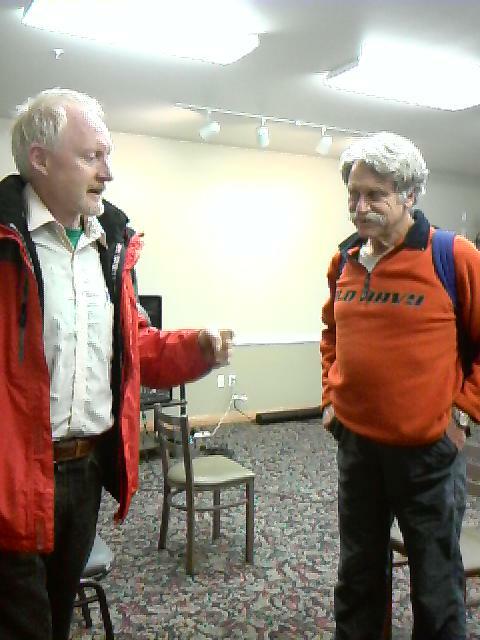 More photos of the 2009 Mushing History Conference can be found at June Price’s weblog, Backstage Iditarod. This post is the fourth in a series of reports on the 2009 Mushing History Conference, which took place Nov 6-8 in Anchorage and Wasilla, Alaska. Joe Redington, Jr. was raised on the Iditarod Trail and learned to mush dogs from his father, Joe Redington, Sr., who’s also known as the Father of the Iditarod. Joe is a former World Champion sled dog racer, and he and his wife Pam make their home in Manley Hot Springs, 160 miles northwest of Fairbanks, Alaska. Their Iditarod Kennels offers a tour of their kennel, sharing their knowledge about dogs, equipment, sleds and strateg, and they’ll describe their subsistence lifestyle of fishing, gardening, hunting and mushing for their visitors. For the Mushing History Conference Joe brought an amazing slideshow and a video of his family’s colorful history in Alaska. On Saturday, at the UAA in Anchorage, he shared the slideshow and explained the photos of his dad’s early days in Alaska, his fish camps and boats, dogteams and airplanes, the Redington boys growing up in Knik and at Flathorn Lake, both on the Iditarod Trail; Joe Sr. working for the Army salvaging wrecked airplanes, and summiting Denali with champion musher Susan Butcher and the reknowned mountaineer Ray Genet; and Joe Jr. winning the 1966 World Championship Sled Dog Race at the Anchorage Fur Rendezvous. After the slideshow Joe answered questions and an interesting discussion ranging over many different topics ensued. For Sunday’s presentation at the Grand View Inn in Wasilla Joe had brought a video he’s put together which combined many of the same slides with some additional images, but the narrator was his father, Joe Sr.! It was fascinating for those who were able to attend both the slideshow and the video showing, to hear father and son each talking about the family photos, commenting on things which happened over the years, ways of doing things, making observations and sharing laughs with the viewers. 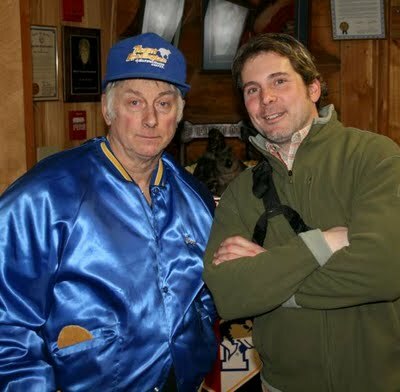 The stirring tribute to Joe’s father, “Redington’s Run,” by Alaska’s State Balladeer, Hobo Jim, ended the video. It was a delightful presentation, and certainly a highlight of the conference. In the early sixties Walt Disney Studios made a feature length film titled Nikki, Wild dog of the North, about a half-husky, half-wolf separated from its owner during the gold rush in Canada’s Yukon Territory. What many people don’t know is that Joe Redington Sr. bred the dog who played in the title role, and the story behind that dog, and all the dogs used in the film, and how they ended up in the kennels of the Royal Canadian Mounted Police, and what happened after that, is a fascinating tale! Jeffrey Dinsdale has been involved in breeding and working with sled dogs for almost 40 years, as he and his family have lived in Canada’s Northwest Territories, the Yukon and Northern British Columbia. Throughout this time Jeff has maintained a keen interest in sled dog history; he was involved in the organization of the first Carcross, Yukon to Atlin, British Columbia Mail Run in 1975, and since 1992 he has been involved with the organization of the Gold Rush Trail Dog Sled Mail Run from Quesnel B.C. to Barkerville and Wells B.C. 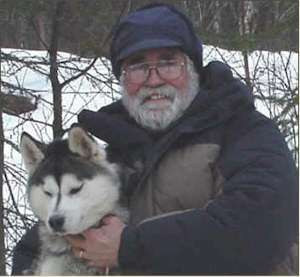 In the 1970’s and 80’s Jeff worked with the Canadian Kennel Club and the Eskimo Dog Research Foundation during a period when attempts were being made to ensure that these dogs, which are indigenous to the Canadian Arctic, would continue to thrive, and Jeff has published many articles in various sled dog-related publications. Nikki was bred by Joe and Vi Redington of Knik Alaska.(3). He was originally named Polar and was born February 4, 1958. At six months of age he was sold to Bill Bacon. His sire was Tok, a Malamute show dog and a fair working animal. His dam was Chena, also a Malamute, of Earl and Natalie Norris stock.(4). Nikki (Polar) had no Siberian Husky blood in him. The Redingtons later sold six other dogs to Bacon, three males and three females. 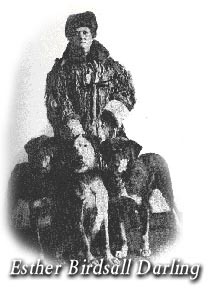 Three were Chena’s pups, but three were sired by Tok of a ½ Siberian Husky ½ Eskimo Dog named Belle. Belle’s sire was from Greenland and was brought to Alaska by the U.S. Air Force 10th Rescue Unit of Elmendorf Air Force Base. In all it should be noted that over 200 different sled dogs were used in the movie “Nikki –Wild Dog of the North”, which was released in 1961 (5). 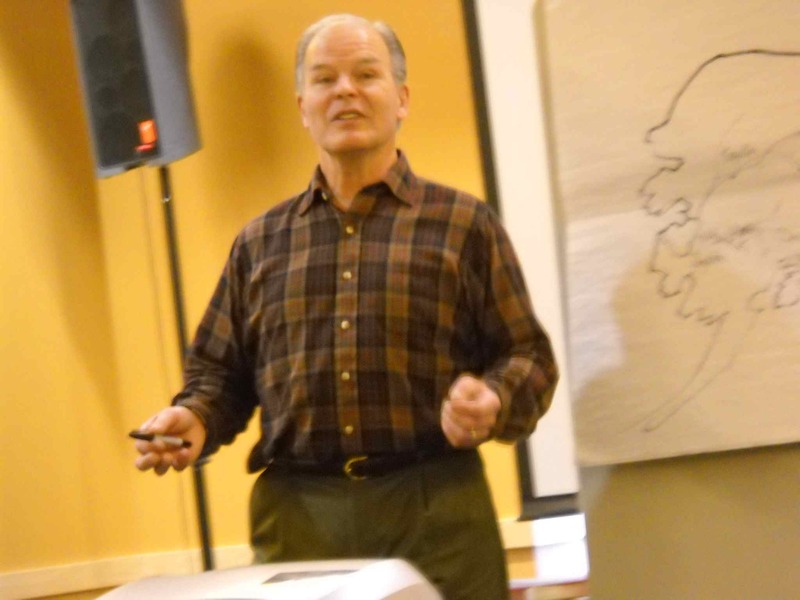 (3) This is the same Joe Redington who went on to become the Father of the Iditarod.. There is a very interesting account of Bacon’s dealings for Polar in the book Father of the Iditarod, the Joe Redington Story, by Lew Freedman, Epicenter Press, Box 82368, Kenmore, WA, 98028, U.S.A. Go to page 71 for the story of Polar. (5) Have any readers ever seen this movie? Any comments would be appreciated, please reply using the contact email address on this site. A long and colorful history of the RCMP in northwestern Canada is part of Jeffrey’s post, as is a detailed accounting of what happened to the Disney dogs. Still to come are the presentations by author Jane Haigh, and Chas St. George of the Iditarod Trail Committee, and contributions sent for presentation by Thomas ‘Swanny’ Swan and Alan Stewart. This post is the third in a series of reports on the 2009 Mushing History Conference, which took place Nov 6-8 in Anchorage and Wasilla, Alaska. 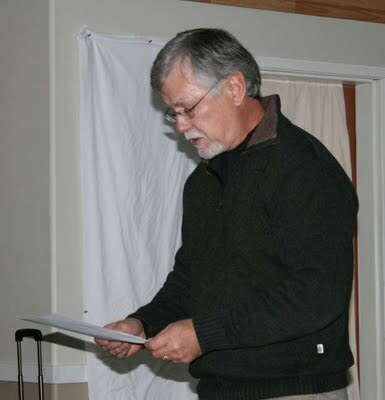 The first report in this series included the presentations of Tim White and Carol Beck. The second report described the display panels on mushing history from Denali National Park, and the presentation by Kevin Keeler, Administrator for the Iditarod National Historic Trail. Dr. Linda Chamberlain of Homer, Alaska, is a scientist, author, professor, historian and dog musher, and she lives with her 20 Huskies and her husband, Al, on their 45-acre Howling Husky Homestead outside of Homer, Alaska. An epidemiologist specializing in childhood exposure to violence and brain development, Dr. Chamberlain has combined her public health career with her passion for dog mushing and rural living. During the summer months, she leads narrated tours of a circa 1910 wall tent, the sled dog kennel, and a living museum of dog mushing on their homestead. For her first book, Arctic Inspirations, she traveled from Alaska through the northern Canada and on to Siberia to gather stories of women starting businesses in the Arctic. She is currently working on a book called Mushing the Mail on the Iditarod Trail that traces the history of mail delivery by dog team in Alaska. For the 2009 Mushing History Conference Dr. Chamberlain brought a presentation which traced the history of mail delivery by dog teams along the Iditarod Trail and the Kenai Peninsula, based on historical documents from the National Archives and Records Administration, the U.S. 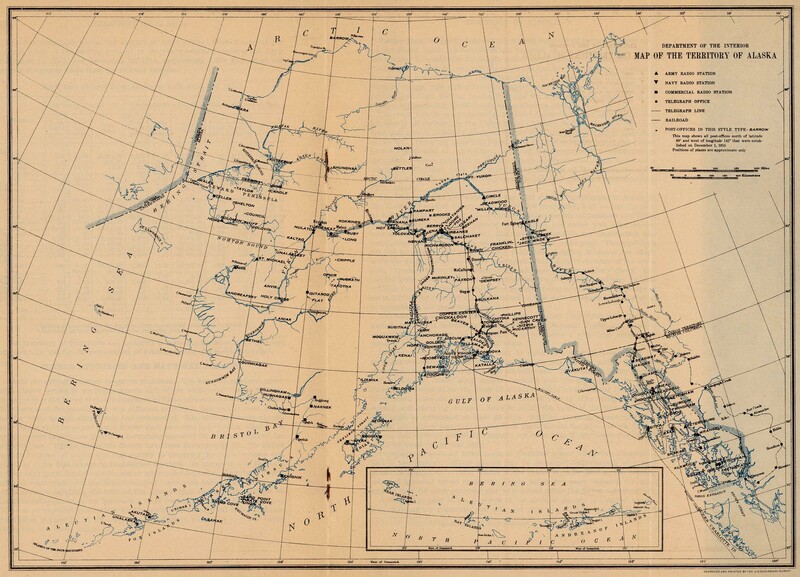 Postal Museum, the Alaska State Library, universities, museums and historical societies, interviews, private collections, and an extensive literature review. While details on dog team mail carriers were sporadically and sparsely documented, Dr. Chamberlain has found many rich stories describing this dominant mode of transportation to deliver supplies and mail in Alaska from the late 1800s through the mid-twentieth century. Dr. Chamberlain described life on the trail of a Star Route Contract mail carrier and their dog team, and included many details about the types of dogs and equipment used, distances traveled, and the loads they carried. Her riveting stories of heroic deeds and tragedies on the trail provided a panoramic portrait of these postal pioneers and the Iditarod Trail that served as a lifeline between communities. “…Daring men and dynamic events that force the lock and break of the silence of the unknown North. Gold rush leads to gold rush, trail leads to trail, until it culminates in the last, glorious, hell-bent-for-leather gold rush and the final great gold rush trail in North America. 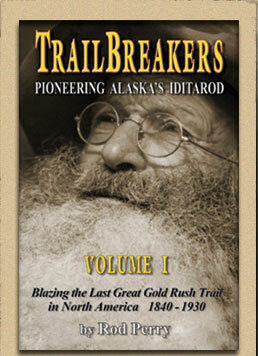 Trailbreakers Volume I is the most-complete, most-accurate telling of how the fabled Iditarod Trail came to be. As it relates the 1840-1930 progression of events establishing the “Last Great Gold Rush Trail in North America,” the book educates and corrects long-standing myths and misinformation that have grown up. Did the natives of the trail route at one time or another travel every foot of the country over which the trail passes? Of course. Did they trade with one another? Absolutely. But were any of their trails of a character to constitute ready-made, connected, serviceable platforms for a direct trail between Susitna Station and Kaltag? Any close look into the situation strongly indicates that that is a most fanciful stretch. Still to come are the presentations by Joe Redington Jr., Jane Haigh, Jeff Dinsdale and Chas St. George, and contributions sent for presentation by Thomas ‘Swanny’ Swan and Alan Stewart.